Apparel Search is starting to feel a bit chilly... Are you?? It may be time to satisfy your outwear needs for fall and winter 2009. 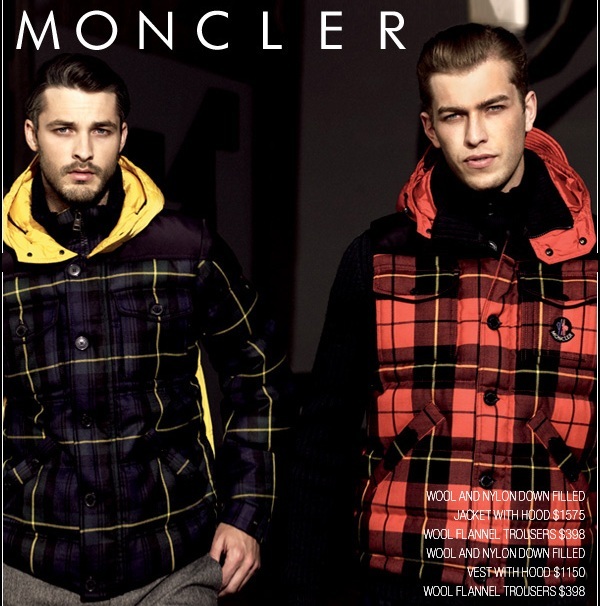 Barneys New York currently has a nice collection of Moncler outerwear for men. They have a section of vests as well as jackets that are fantastic for fall..
You may like the liberation vest in red. It is Barneys style # 500284533. Plaid twill hidden zip and snap front vest with knit collar, drawstring hood and solid nylon back. Snap slash pockets and snap flap pockets at chest. Available in Red. Imported. Dry clean. Exclusively at Barneys.. Learn more about men's outerwear.